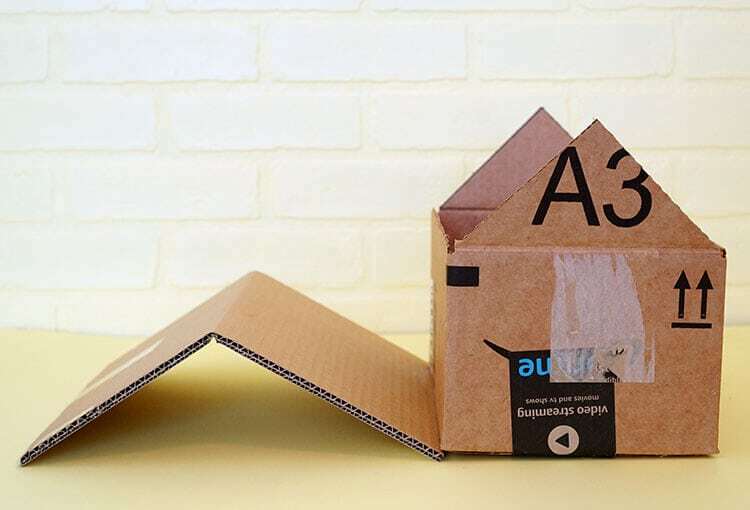 Make your own DIY Cardboard Cat House and create a cozy hangout for your favorite feline! 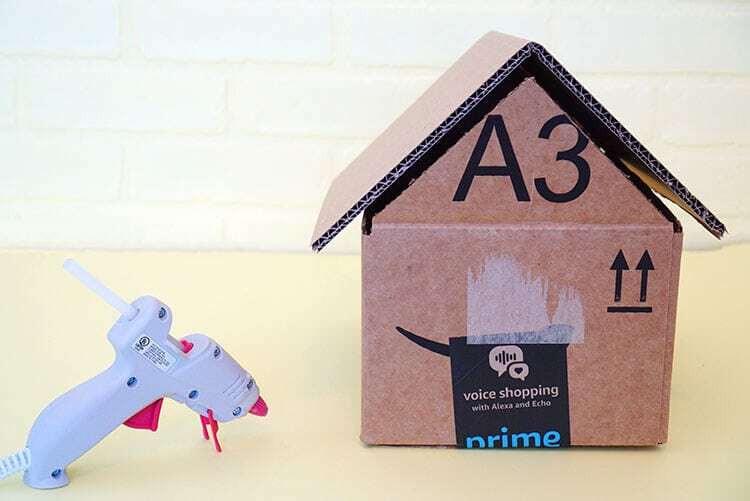 Cats love lounging around in boxes, especially cute house-shaped ones! Sometimes it feels like a jungle in here with all of the kids and pets that are running around. In fact, our oldest cat is actually named Zan after Tarzan, because he used to take flying leaps from place to place when he was younger! We definitely live in a high-energy zone here! 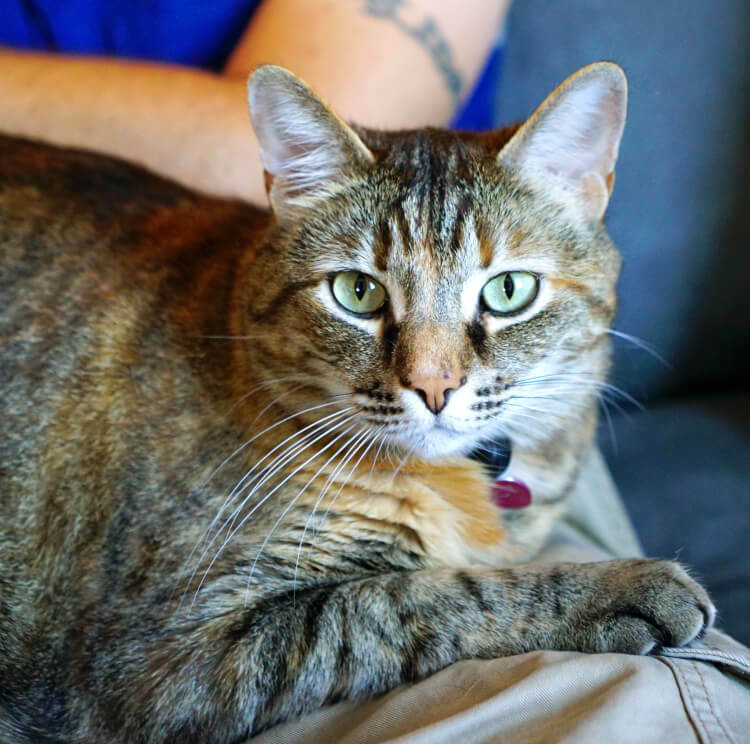 Our pets have always been a big part of our lives, and they are very much a part of our family. 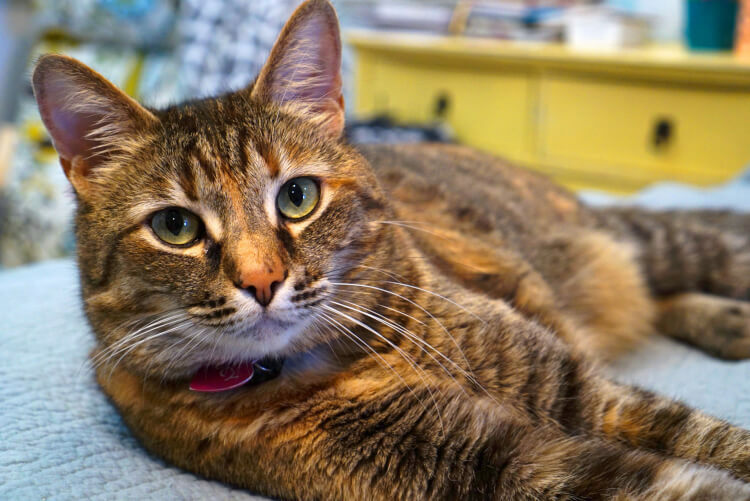 This cutie is Lucy, our only girl cat. I know how she must feel, living in a house full of boys all the time and being the only girl! 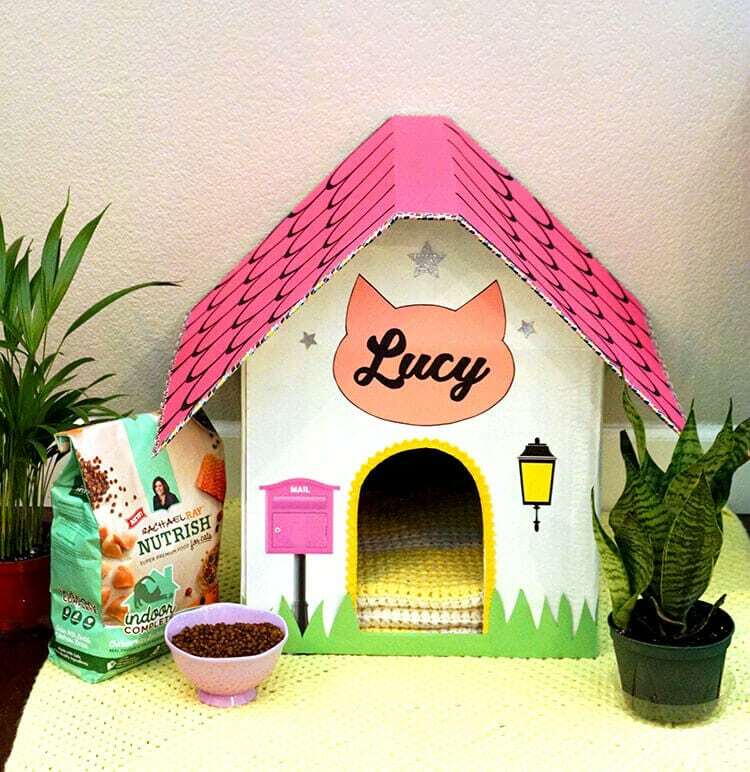 I wanted to give Lucy her own special space, so I created a cute and girly cardboard cat house with her in mind. In addition to being the only girl, she’s been quite fond of snuggling up with my pillow lately, and as much as I love snuggles, I hate finding cat hair all over my pillow (even when I try to hide it from her!). The goal is that by giving her a cozy place to call her own, she’ll leave my pillow alone! 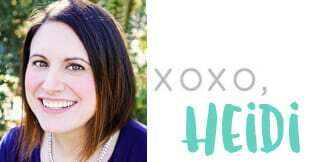 Embellishments – Craft Paint, Colored Paper, Ribbon, Etc. 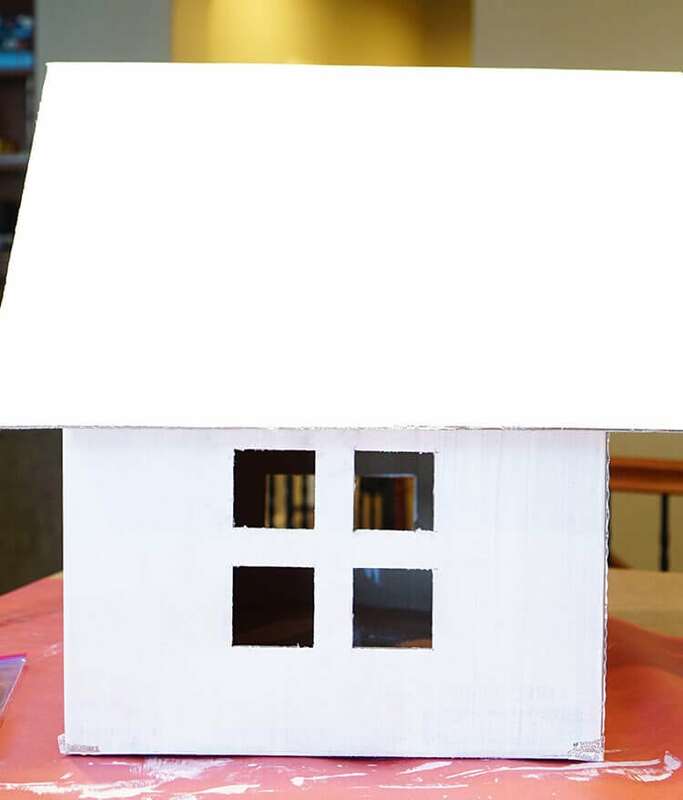 Note: I didn’t take photos of the basic assembly process when I built my full-sized cat house, so I recreated it with this cute little model! 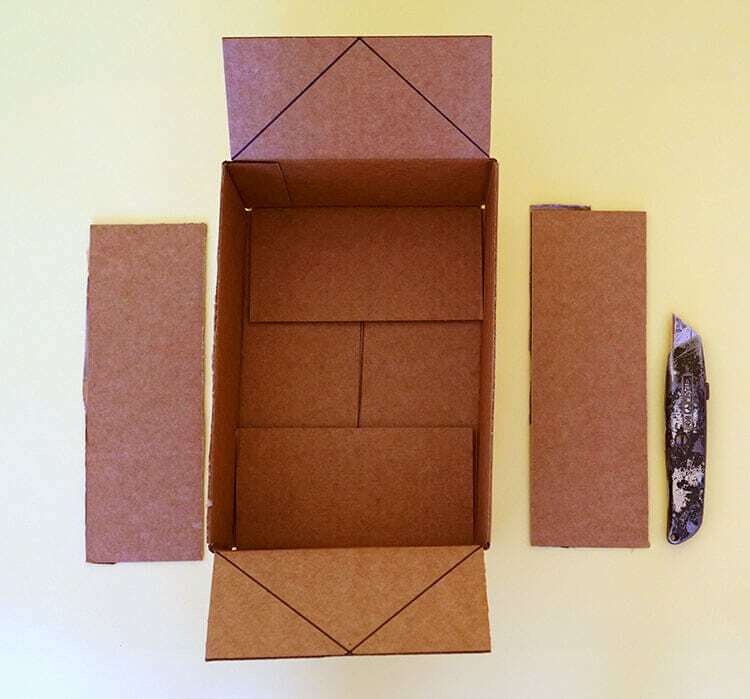 Use a utility knife and a metal ruler to remove the two cardboard flaps from the longest side of the box. Cut the two remaining flaps into triangles to serve as the roof peak. 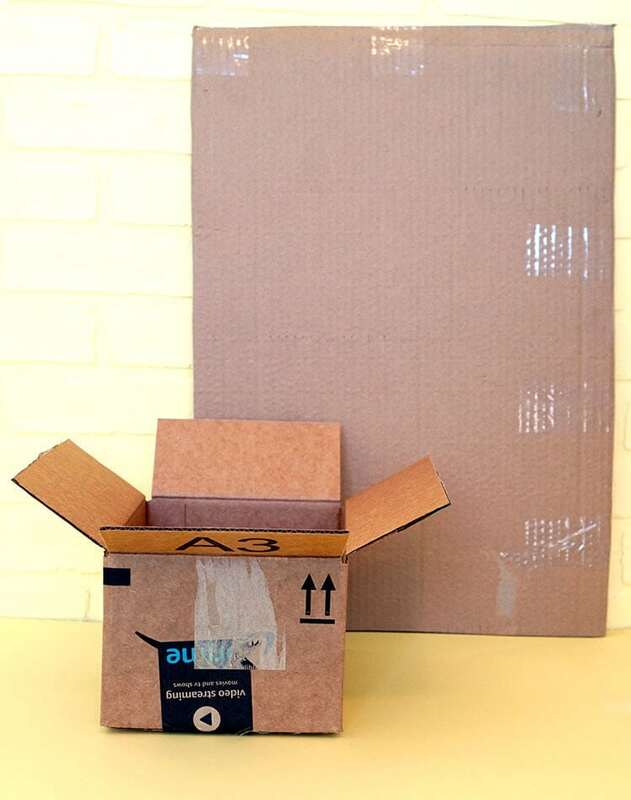 Cut the sheet of cardboard to serve as a roof, and fold it in half to create a center ridge. As a general guideline, you will want the roof to extend at least a couple of inches on all sides, so make sure to add extra inches to accommodate the overhang! 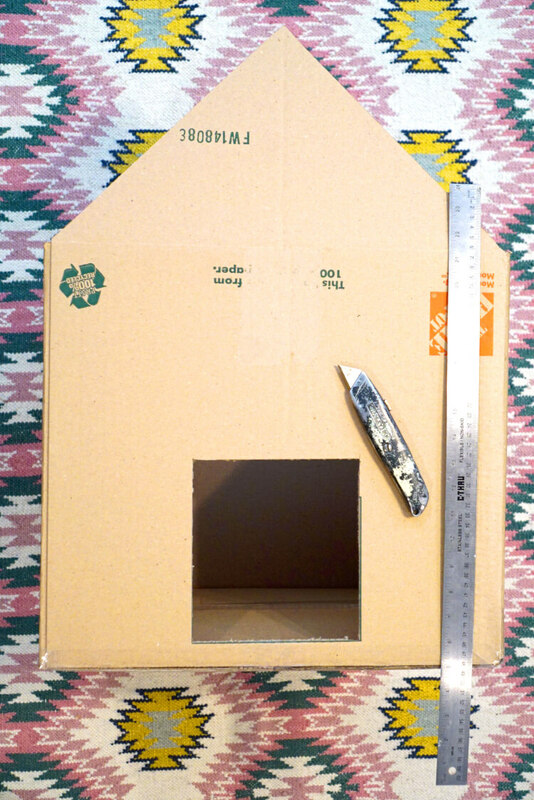 Note: my full-sized cat house has a flat-peaked roof based upon the pre-existing folds in my large sheet of cardboard. 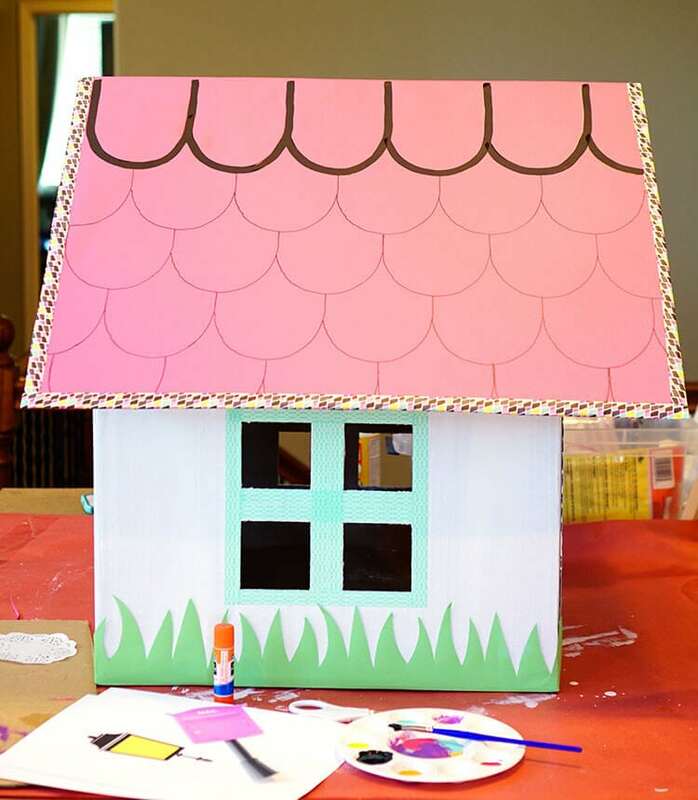 Use a hot glue gun to attach the roof to the house. Use the utility knife and a metal ruler to cut out windows and doors. Now for the fun part – painting and decorating! There are SO many different ways that you can be creative with it! 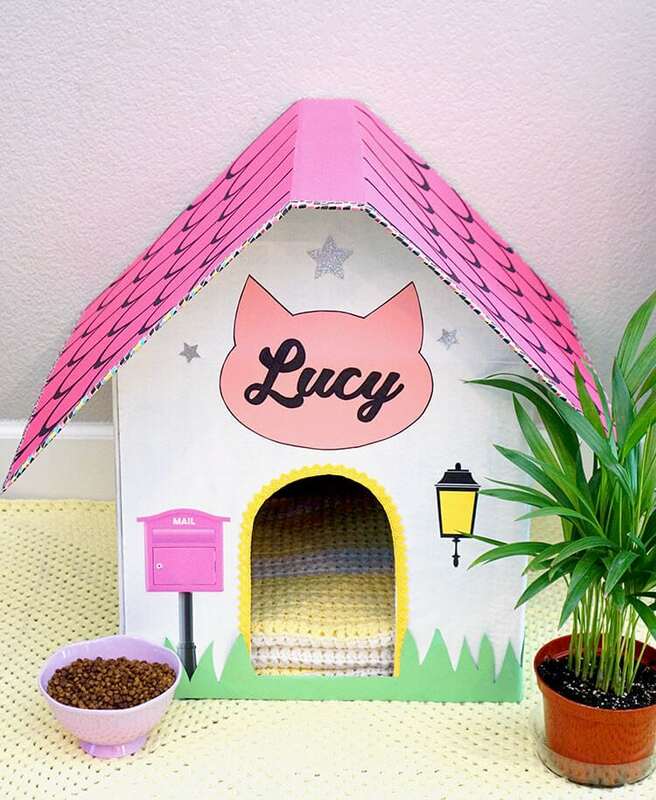 I added washi tape window frames and trim, paper grass, lace around the doorway, and lots of cute painted decorations to my cardboard cat house. I even added a clip art mailbox and porch light! 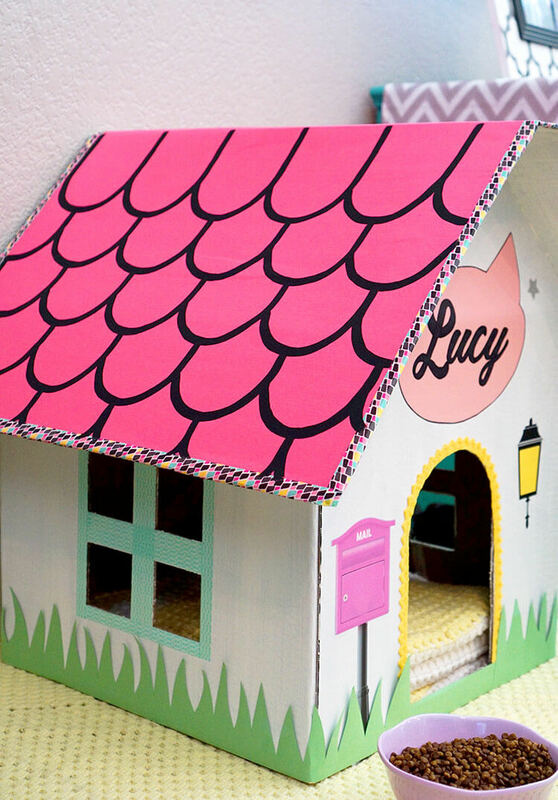 As soon as I got the cardboard cat house finished, I couldn’t wait for Lucy to try it out (especially because at the moment, she was curled up smack dab in the center of my pillow!)! She’s going to love this, right? 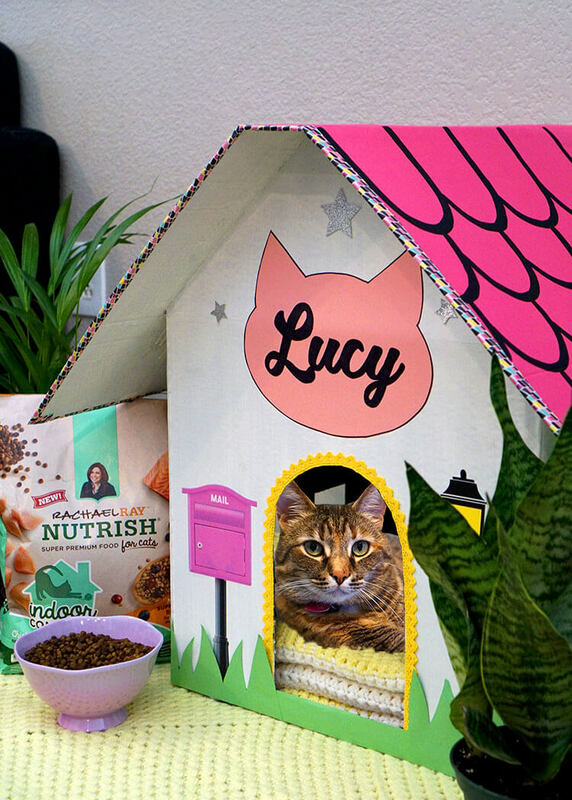 I added a bowl of Lucy’s favorite dry food, Rachael Ray™ Nutrish® Indoor Complete Chicken with Lentils & Salmon Recipe, and brought her downstairs to get acquainted with her new space. She’s crazy about Nutrish, and so am I! 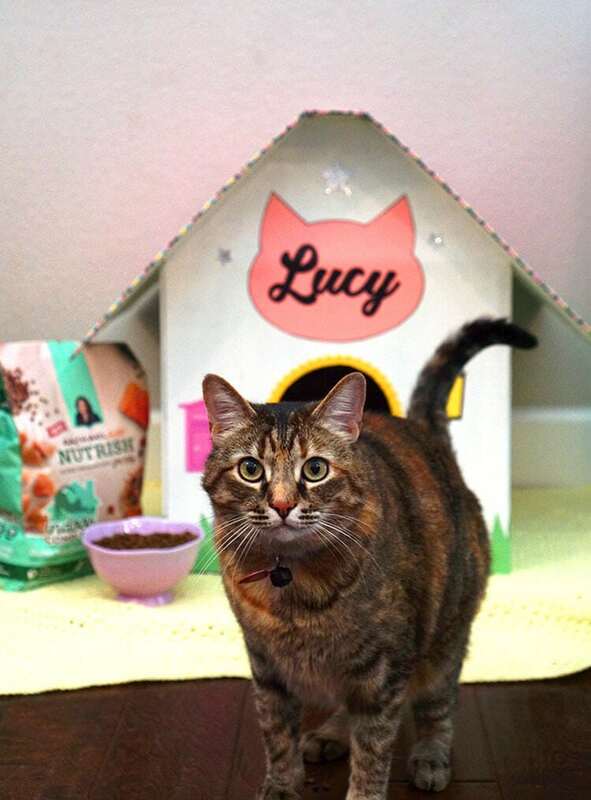 I like that Rachael Ray Nutrish pet foods have added vitamins, minerals, and taurine that Lucy needs, and I love that each purchase helps to support Rachael’s Rescue and help take care of animals in need. This Indoor Complete formula is our favorite because it’s made with real farm-raised chicken, salmon, lentils, and other natural ingredients that help support healthy metabolism and aid in digestion. There’s even pumpkin, cranberries, and dandelion greens in there! Sometimes I think this cat is eating better than I am! She really, REALLY loved the food. 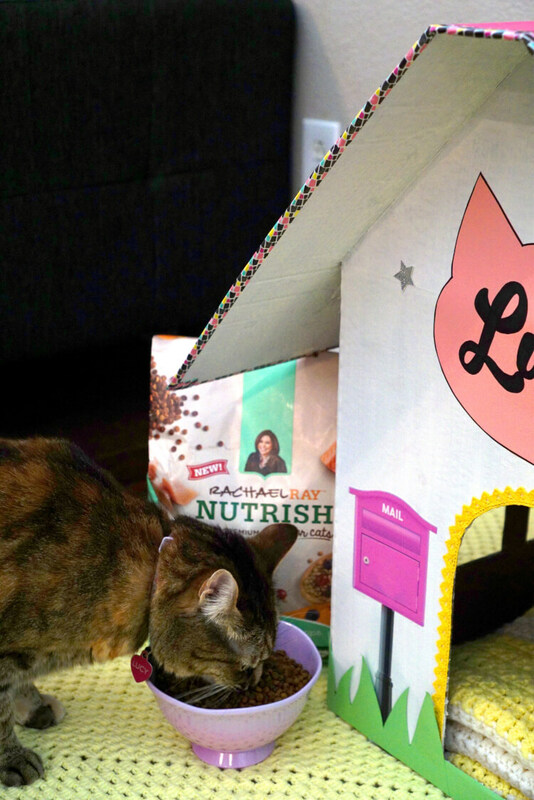 Honestly, I couldn’t even get her to peek inside the cardboard cat house at ALL because she was too interested in eating her Nutrish! What can I say? She knows a good (and nutritious!) thing when she sees it! She was definitely giving me the look that tells me this is HER space now, though! 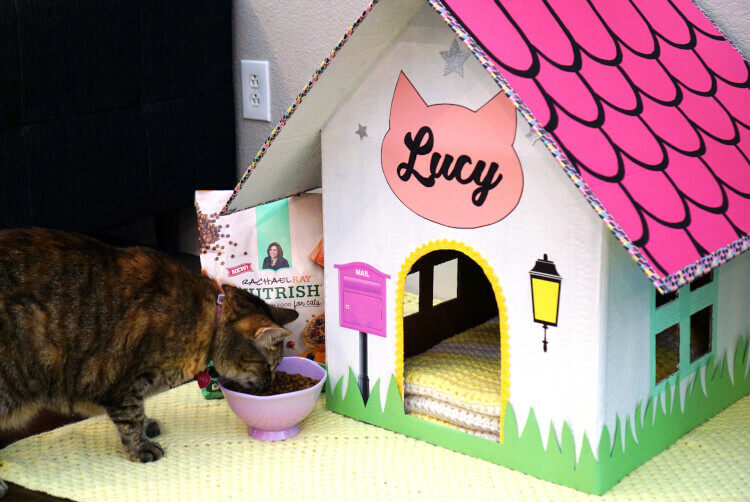 After she was done eating, Lucy finally tried out her new cat house – success! She loves it just as much as I thought she would! 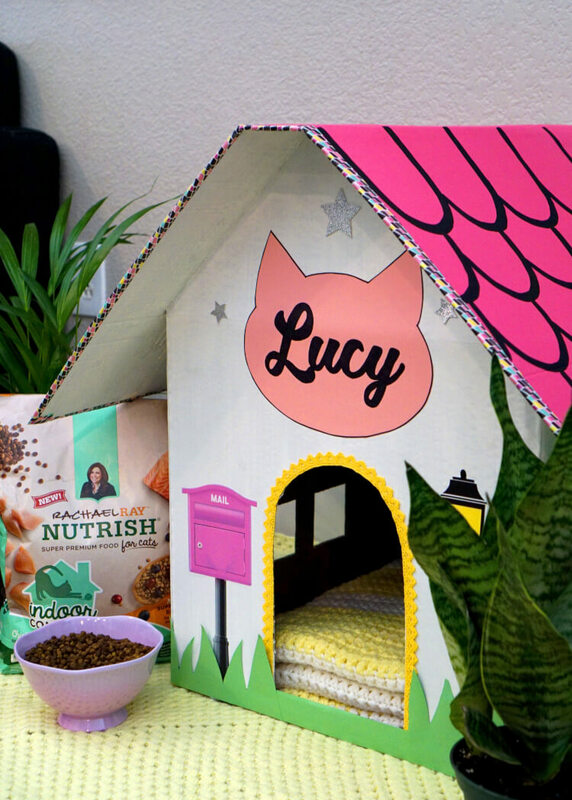 For more news and information, be sure to follow Nutrish on Facebook, Twitter, Pinterest and Instagram, and for more pet-friendly home design elements, check out “It’s a Jungle in Here!” They have some fantastic ideas!